The panels in the center of this quilt make it look complicated, but it’s really not. 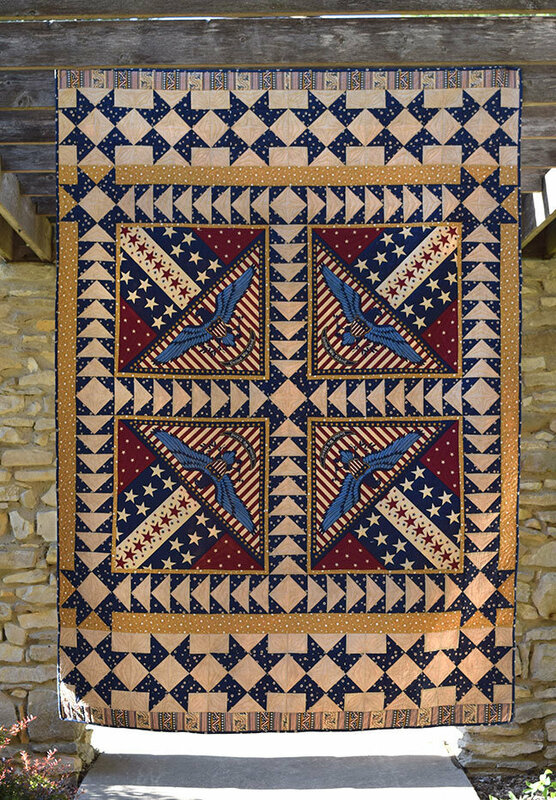 Using the 4-at-a-Time Flying Geese Units method makes quick work of the sashing and the Star blocks on the top and bottom of the quilt give the finishing touch to this Quilt of Valor worthy design. 60" x 85" finished size.